These potatoes are so good. You’ll need to fight the urge to flip them halfway through baking, but trust me – DON’T!!! Preheat oven to 350 degrees. Cut potatoes in half and then in quarters. In a large bowl, coat potato wedges with olive oil and garlic. 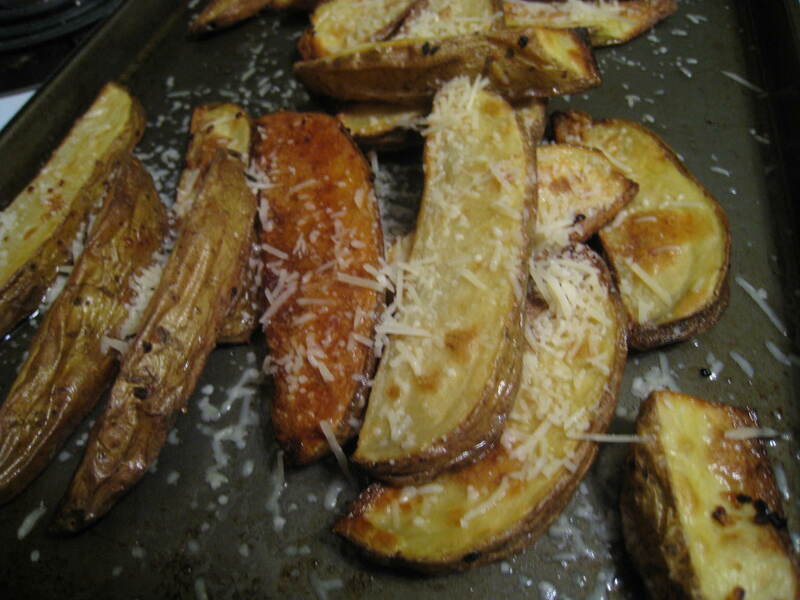 Place coated potato wedges on a baking sheet and bake in oven for 30-35 minutes. Remove from oven and sprinkle with grated parmesan cheese. Serve immediately.